The recent large scale attacks and atrocities by the Taliban against the Hazara people in Afghanistan has resulted in the killing, kidnapping, and displacement of family members and relatives of thousands of Hazara-Australians. 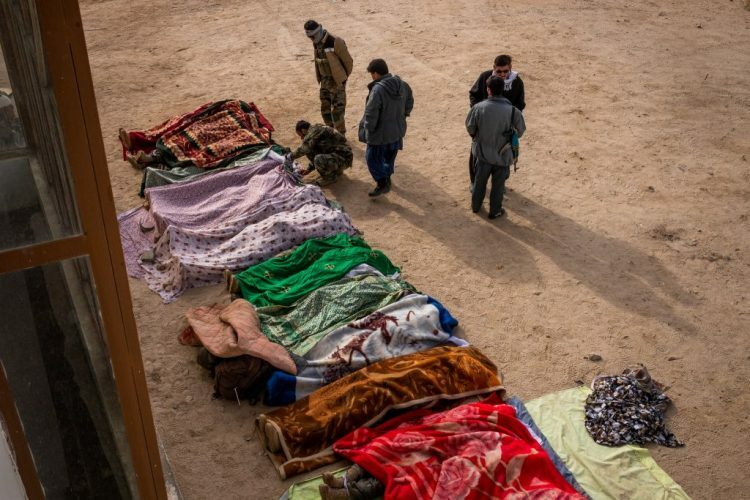 In the last two weeks, the Taliban has waged a sustained attack on Hazara villages in Khas Uruzgan, Malistan and Jaghori districts resulting in the death of many men, women and children and the displacement of thousands. The Taliban has also taken an unknown number of civilians including children. The Afghan Government has been ineffective to respond and to send reinforcements. The Australian-Hazara community is calling on the Australian Government and international community to act now before Taliban freely commits more atrocities, displace and kill more men, women and children. Sediqa Karimi, a Brisbane based Hazara community leader said: “My family in Australia is living a nightmare.” “My grandfather, a community elder in Jaghori and my 12 years old cousin were held hostage, kept hungry and tortured after my grandfather was lured into a meeting for negotiation with Taliban in their second day of fighting,” Ms Karimi added. Shukufa Tahiri, an Australian-Hazara community leader based in Sydney, whose family has been immediately affected by the attacks, says that the Australian government must put more pressure on the Afghan government to do more to protect the Hazara people. These latest attacks are evidence of the ongoing and persistent threat posed by the Taliban to Hazara people in Afghanistan. The Taliban have a long history of persecuting Hazaras based on ethnic identity, religious affiliation and political opinions. Since 2001, Hazaras have overwhelmingly supported international efforts for democratic transformation and stabilisation in Afghanistan. The Hazara communities that have come under attack in Khas Uruzgan, Malistan and Jaghori districts represent many of the positive transformative changes that Afghanistan has experienced thanks to international support and intervention. The community are warning that, without an immediate and coordinated national and international response, Taliban forces are free to commit mass atrocities against the Hazaras in these areas, and we believe there will be an escalation of violence and further displacement. The over 50,000 -strong Hazara community in Australia believe that the Australian Government, as a major contributor to international efforts for stabilisation and reconstruction of Afghanistan since 2001, can play a vital role in urging the National Unity Government of President Ashraf Ghani and NATO’s Resolute Support Mission to act to ensure the safety and security of the Hazara people. Specifically, the community is requesting that the Australian Government use its influence to urge the Afghan Government and NATO to provide immediate military and humanitarian assistance to affected areas. This release was sent by Refugee Council of Australia on behalf of and in support of the Hazara community.